Chark didn't catch either of his targets in Sunday's loss to the Texans. He totaled 14 receptions for 174 yards in 11 games this season. Chark (quadriceps) was a full participant at Wednesday's practice. Analysis: As expected, Chark made his return to the practice field and he apparently wasn't limited in any way. This development puts the receiver on track to play in Sunday's regular-season finale in Houston after sitting out the Jaguars' last five games. The rookie validated that notion after Wednesday's practice, per John Oehser of the Jaguars' official site. Chark (quadriceps) is slated to participate in practice Wednesday. Analysis: It won't be revealed until after the session concludes whether Chark was a limited or full participant, but regardless of how he's listed, it would mark the rookie's first on-field activity since he tweaked his left quadriceps in a Week 11 loss to the Steelers. Since Chark has missed the Jaguars' last five games with the injury, he may only play a bit role in the team's offensive game plan if he makes it back for Sunday's season finale in Houston. Chark (quadriceps) has been ruled out for Sunday's game against the Dolphins, John Reid of The Florida Times-Union reports. Analysis: The Jaguars will hold the rookie for the fifth consecutive game, an unsurprising development after he failed to practice this week. Chark may need to log a full practice or two next week to have a realistic shot at suiting up in the Jaguars' season finale Dec. 30 against the Texans. Chark (quadriceps) isn't on track to practice Thursday. Analysis: The lack of on-field activity continues a trend that has persisted since Chark first tweaked his left quadriceps in Week 11. 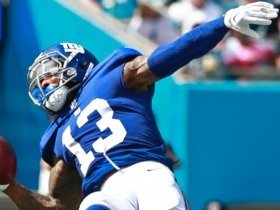 The rookie wideout looks highly unlikely to play Sunday in Miami and could struggle to make it back for the season finale in Houston in Week 17. Chark (quadriceps) isn't slated to practice Wednesday. 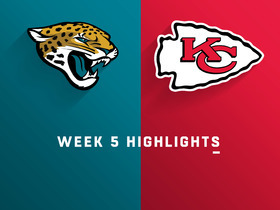 Analysis: Chark has missed the Jaguars' last four games and hasn't practiced in any capacity since suffering the quad injury in a Week 11 loss to the Steelers. 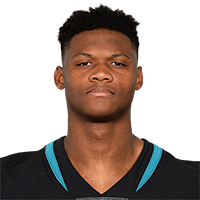 If the rookie fails to demonstrate meaningful progress in the next few days, the Jaguars may elect to officially shut him down for the season by shifting him to injured reserve. Chark (quadriceps) was ruled out for Sunday's game against the Redskins, Hays Carlyon of 1010 AM WJXL reports. Analysis: Chark still has yet to practice since the quad issue cropped up Week 11 against the Steelers and will miss his fourth straight game. The specifics of the injury remain unclear, but given the extended absence there's no guarantee the rookie second-round pick sees the field again this season. Keelan Cole should continue to serve as the Jaguars' No. 3 wide receiver in his absence. Chark (quadriceps) didn't participate in Thursday's practice, Daniel Popper of The Athletic reports. Analysis: With no recorded practice activity since tweaking his left quad in Week 11 against the Steelers, Chark looks destined to miss a fourth consecutive game Sunday against Washington. Official confirmation on that front should arrive Friday, shortly after the Jaguars' final practice of the week concludes. Chark (quadriceps) won't participate in Wednesday's practice, Phillip Heilman of The Florida Times-Union reports. Analysis: Chark has missed three consecutive games with the quad issue and isn't starting off preparations for Week 15 on the right foot. Since he hasn't played in nearly a month, Chark may need to put in a full practice by Friday to have a realistic shot at suiting up Sunday against the Redskins. Chark (quad) has been ruled out for Thursday's game against Tennessee, Michael DiRocco of ESPN.com reports. Analysis: Chark's continued absence leaves Keelan Cole without any competition for the No. 3 wideout role in a struggling passing offense. The rookie usurped Cole in late October and November, albeit with little to show for his victory in the job battle on the stat sheet. Chark may have a shot to make it back for Week 15 against Washington. Tuesday's practice estimate continues to list Chark (quad) as a non-participant. Analysis: Chark seems likely to miss Thursday's game against the Titans, which puts Dede Westbrook, Donte Moncrief and Keelan Cole on track to head the Jaguars' Week 14 receiving corps. The Jaguars indicated that Chark (quadriceps) would not have been able to practice Monday if the team had taken the field. Analysis: Chark missed the Jaguars last two games due to his quadriceps injury and could miss more time. While he may practice later this week, the fact that he wouldn't have been able to practice Monday doesn't bode well for the young wideout. Keelan Cole will likely continue seeing extra reps in the No. 3 receiver slot as long as Chark remains sidelined. Chark (quadriceps) has been ruled out Sunday against the Colts. 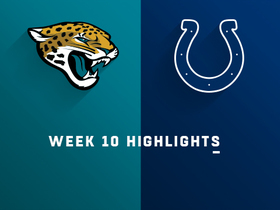 Analysis: With Chark sidelined for a second straight week, Dede Westbrook, Donte Moncrief and Keelan Cole are on track to head the Jaguars' receiving corps. With Cody Kessler set to replace the struggling Blake Bortles as the starting quarterback Sunday, none of the team's pass-catching options rank as high-percentage fantasy plays in Week 13. Chark (quadriceps) wasn't scheduled to participate in practice Thursday, John Reid of The Florida Times-Union reports. Analysis: With the rookie set to go down as a non-participant in the first two practices of the week, he appears to be trending toward a second straight absence Sunday against the Colts. While Chark sat out last week's 24-21 loss to the Bills, Keelan Cole reclaimed a regular role in three-receiver sets but was only targeted twice and recorded no receptions. Chark (quadriceps) won't participate in Wednesday's practice. Analysis: Chark was unable to practice Wednesday through Friday of last week before being ruled out ahead of Sunday's 24-21 loss to the Bills. The rookie wideout doesn't seem to have made any notable progress to begin Week 13 preparations, putting him at risk of missing a second straight contest this weekend against the Colts. Keelan Cole benefited the most from Chark's absence in Week 12, taking the field for 49 offensive snaps but failing to corral either of his two targets. Chark (quad) was ruled out for Sunday's game against the Bills, Phillip Heilman of The Florida Times-Union reports. Analysis: Chark was added to the injury report this week as he was unable to practice due to the quad issue. Keelan Cole should take over duties as the Jaguars' No. 3 receiver against the Bills, but would be a risky proposition for fantasy given the inconsistency of the passing attack. Chark (quad) remained listed as a non-participant on Thursday's injury/practice report. Analysis: Chark will need to return to practice in some capacity Friday in order to have a chance to suit up Sunday against the Bills. If he does play this weekend, the 2018 second-rounder would be a speculative fantasy option given his sporadic production to date. Chark isn't expected to practice Wednesday due to a quadriceps injury. Chark caught two of five targets for 15 yards in Sunday's 20-16 loss to the Steelers. Analysis: Chark's five targets actually led the team as quarterback Blake Bortles attempted only 18 passes for 104 yards in the contest. The rookie second-round pick again outsnapped Keelan Cole -- who also wasn't targeted -- and appears to have taken over as the Jaguars' No. 3 receiver, despite his minimal production. 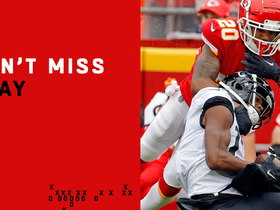 Chark was targeted twice but did not catch a pass in Sunday's 29-26 loss to the Colts. Analysis: Chark saw his highest snap share of the season Week 8 and had a similar workload Sunday despite his lack of results. The rookie second-round pick appears to have gained favor over Keelan Cole, who he outsnapped, 44 to 22, at Indianapolis. Chark's non-existent production despite his increased playing time illustrates why the young receiver can't be relied upon for fantasy purposes until proven otherwise. 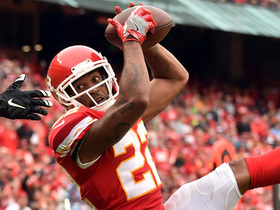 Kansas City Chiefs cornerback Orlando Scandrick intercepts a pass thrown by Jacksonville Jaguars quarterback Blake Bortles to seal the Chiefs' win. Jacksonville Jaguars quarterback Blake Bortles delivers a perfect pass right over wide receiver D.J. Chark's shoulder and into his hands for 30 yards. 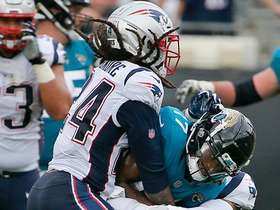 New England Patriots cornerback Stephon Gilmore punches the ball out of Jacksonville Jaguars wide receiver D.J. Chark's hands and he fumbles the ball away to the Patriots.